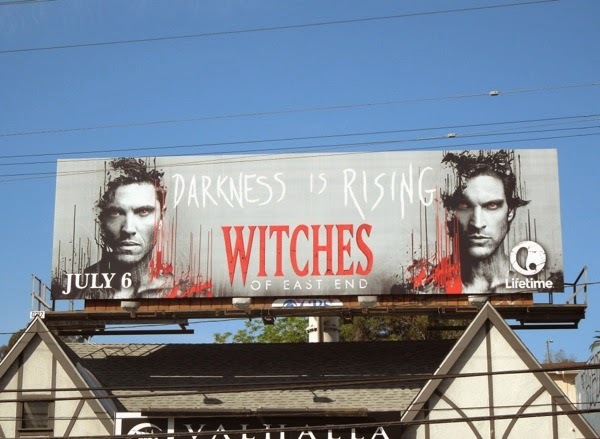 In the second season of the Witches of East End it looks like 'Darkness is rising' as brother faces off against brother. 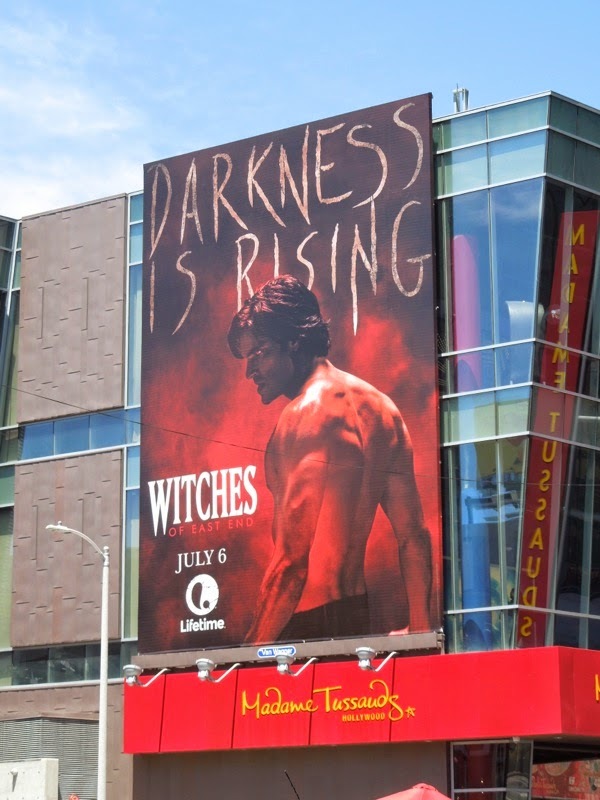 At the end of the first season we saw 'Dash' (Eric Winter) and 'Killian' (Daniel DiTomasso) in a deadly confrontation, with Killian knocked out by his newly empowered brother and left for dead. 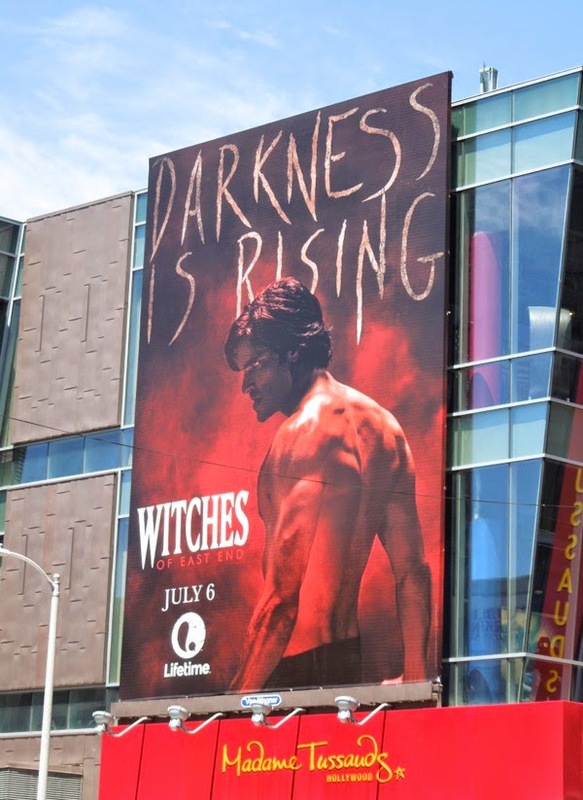 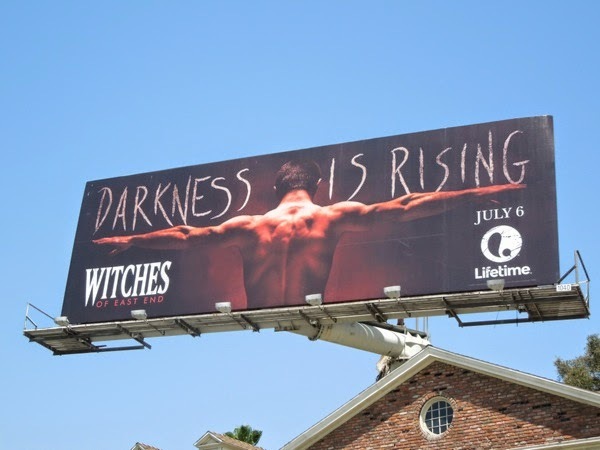 From the looks of these spellbinding sophomore season billboards (which wouldn't look out of place as a True Blood season promo campaign), it's payback time and this season will be about warlocks as much as witches. 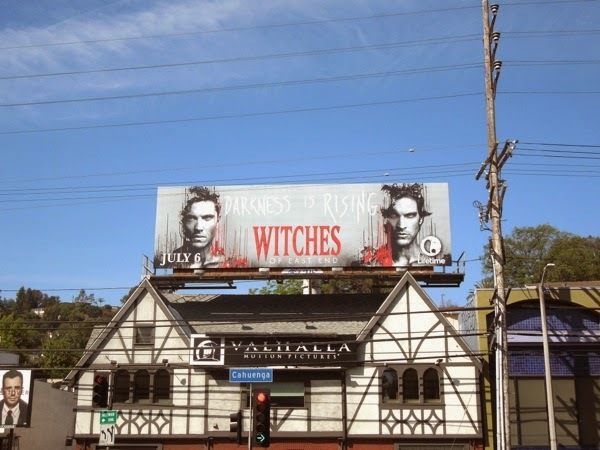 The 'Killian' portrait creative was spied along Hollywood Boulevard on the side of Madame Tussauds on June 3, 2014, whilst the landscape 'Dash' creatives were snapped along Sunset Plaza and San Vicente Bouelvard. 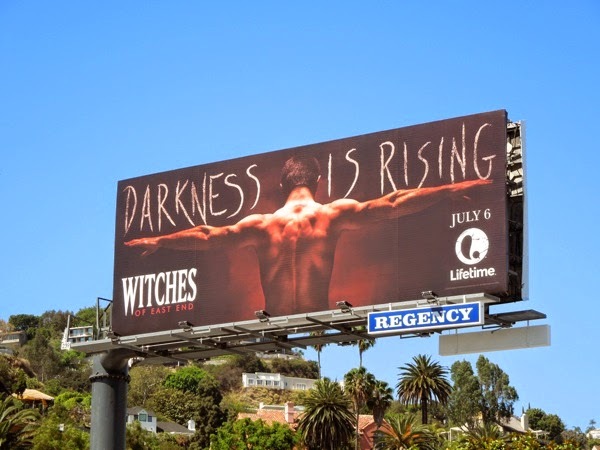 Lifetime certainly knows how to tease its female demographic with these muscular specimens to tempt their viewers back for a second season of witchcraft, based on Melissa de la Cruz's literary creations. 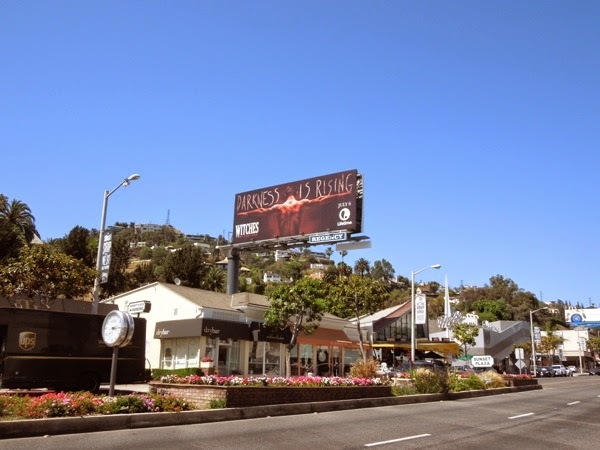 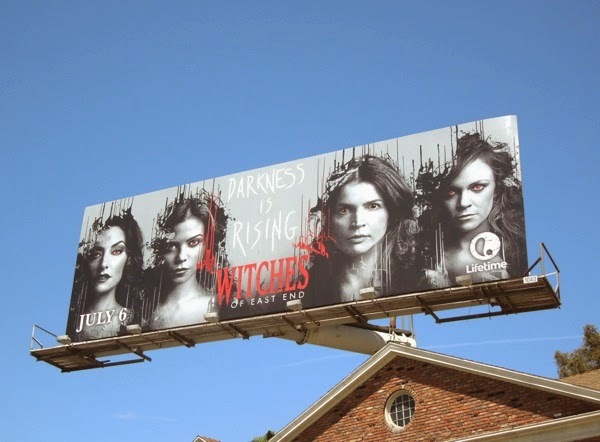 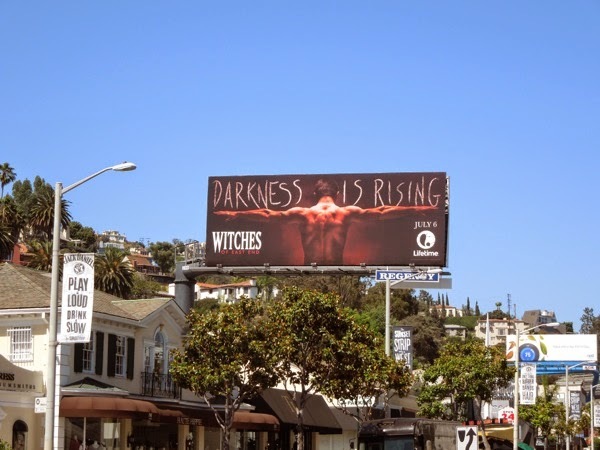 UPDATED: Now that passersby have been titillated by these devilish red 'Darkness is rising' billboards it's time for phase two of the sophomore season ad campaign for the Witches of East End. 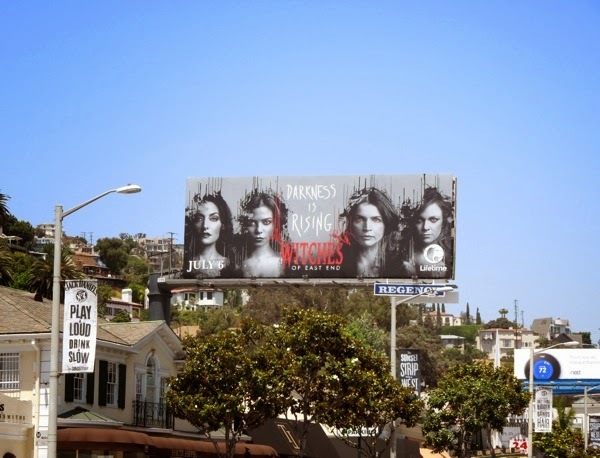 This time the female cast (Mädchen Amick, Jenna Dewan-Tatum, Julia Ormond and Rachel Boston) get a moment in the spotlight, although the men still have their own billboard to highlight their significance this season. 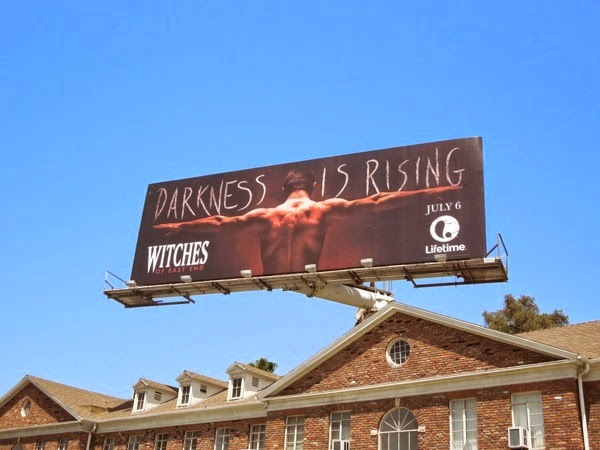 Their glowing red eyes, plus the black and red drip effect rising upwards to help convey the 'Darkness is rising' theme on these grey billboards, really makes for an interesting set of visuals. 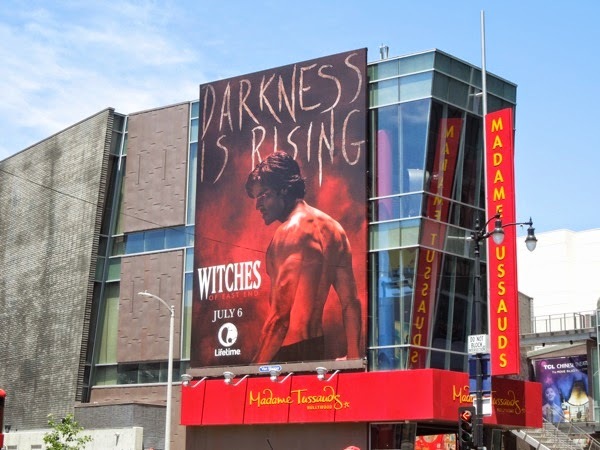 The female character version was snapped at the intersection of San Vicente and Wilshire Boulevards on June 20, 2014, whilst the male cast version was spotted along Cahuenga Boulevard at the bottom of Barham Boulevard the next day. 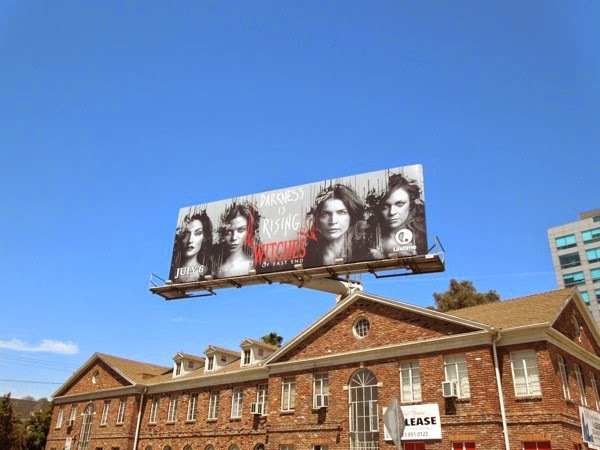 In addition here's another female cast billboard snapped over L.A.'s Sunset Plaza on June 27, 2014.